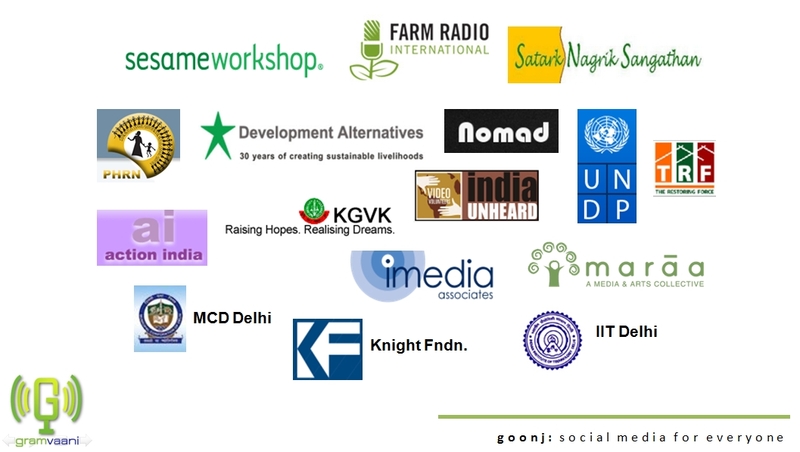 We are a social tech company incubated out of IIT Delhi. We started in 2009 with the intent of reversing the flow of information, that is, to make it bottom-up instead of top-down. Using simple technologies and social context to design tools, we have been able to impact communities- more than 2.5 million users in over 15 Indian States, Afghanistan, Pakistan, Namibia and South Africa. More interesting than this are the outcomes of what we have done: Thirty rural radio stations able to manage and share content over mobiles and the web, corrupt ration shop officials in Jharkhand arrested due to citizen complaints, Women Sarpanches in Uttar Pradesh sharing learnings and opinions, citizen monitoring of waste management in Delhi. Download our brief profile here. With a strategic partnership with the Life Impacting Services business of OnMobile Global Ltd, we have now created OnionDev, with a lot more unique capabilities to deliver value to our partners. Though we continue to produce significant published research and receive industry awards, we evaluate our success by the social impact of our work on communities. We have worked with several fantastic partners with support from the Knight Foundation, Grand Challenges Canada, Power of Ideas, Rockefeller Foundation, and the Ford Foundation.